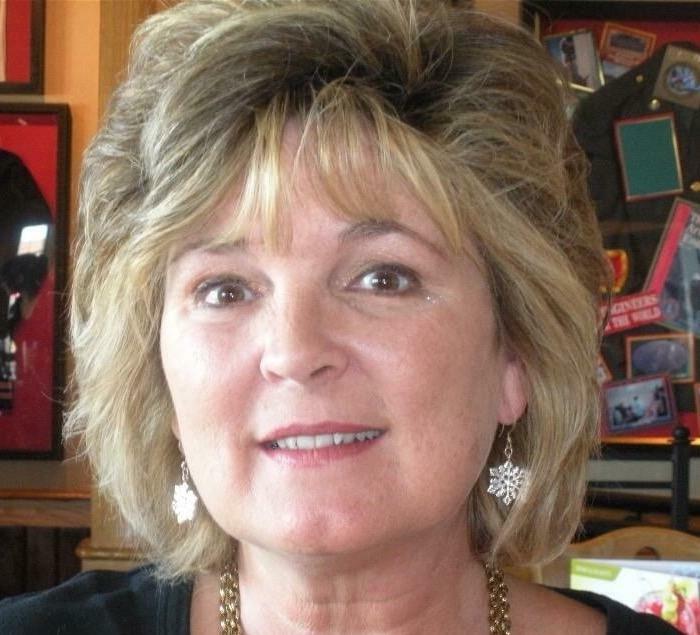 Tammy Wilson, 58, worked at Meramec State Park in central Missouri. She died in June a few weeks after being bitten by ticks. Amie May, Wilson's daughter, says her mother wasn't feeling herself after she was bitten on her hip by ticks. Wilson had degrees in criminal justice and psychology. She loved travel, gardening and ’70s rock – Pink Floyd, Van Morrison and Supertramp. She had two daughters, a son and nine grandchildren. After a week, as her fatigue and rash worsened, Wilson checked into a hospital in St. Louis. Doctors there were stumped. But Wilson stayed in good spirits and joked with co-workers who drove up from the park to visit. “She really wanted a margarita. Apparently there’s a blue margarita that she liked that all of her park friends would have, and they were telling her, ‘Well, as soon as you’re better and out of here, we’ll go to the Mexican restaurant and get a blue margarita,’” May says. But more than two weeks later, after test results came back from the Centers for Disease Control and Prevention, her mother was told she had contracted the Bourbon virus. 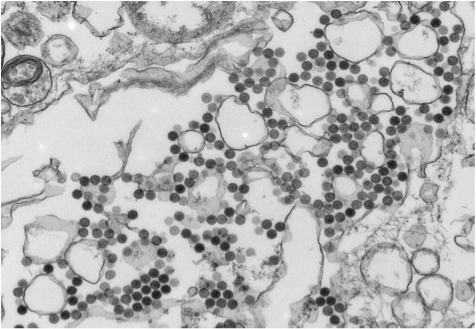 There have been three confirmed cases of the Bourbon virus in the United States. The first was discovered in Kansas. Before, there had been only two confirmed cases of the Bourbon virus and one of the patients died. May says her mother started getting nervous. “She didn’t really show that too much to me. But I’ve talked to my brother, and she was telling him that he needs to make sure that his sisters are taken care of and that we’re OK – just kinda leaving him in charge,” May says. A few days later, on June 23, Tammy Wilson died. She was 58 years old. The Bourbon virus was first discovered in 2014 in a patient from rural Kansas who had been taken to the University of Kansas Hospital. Dr. Dana Hawkinson, an internist and assistant professor at the KU School of Medicine, treated the man, a farmer from Bourbon County, Kansas, whose illness was only identified after he died. The CDC says it’s only seen a few cases since then. And while scientists think the virus probably is spread by ticks, they know little else about it. “We assume it is in other places, in other tick areas, but at this point, there’s not a lot to be done. There’s no specific treatment for it,” Hawkinson says. Until fairly recently, ticks had amounted to little more than a nuisance for Midwesterners – a hassle that goes with spending time outdoors. But the apparent explosion in tick-borne viruses has made the prospect of being bitten by one of the tiny arachnids seem alarming – and the problems go beyond the Bourbon virus. 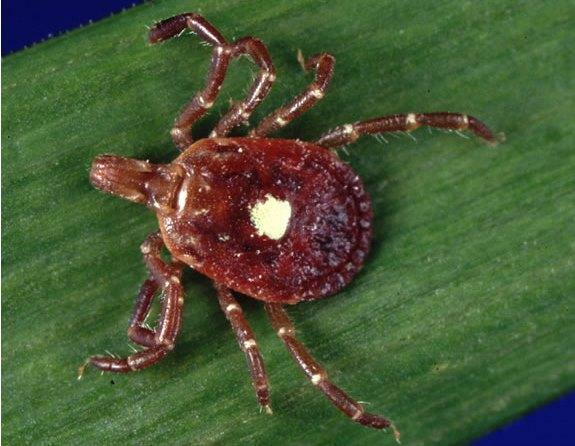 The Lone Star Tick, which is common in Missouri and is believed to spread viruses, wasn’t considered dangerous until the 1990s. Since the discovery of the Heartland virus in a patient from Saint Joseph, Missouri, in 2009, there have been more than 20 confirmed cases. And researchers recently linked Lone Star tick bites to the development of allergic reactions to meat. Lyme disease, which was discovered in 1975, has around 27,000 new cases confirmed each year. And now doctors in upstate New York and around the Great Lakes are becoming concerned about the Powassan Virus, which can cause inflammation of the brain. Brian Allen, an investigator and assistant professor of entomology at the University of Illinois, says scientists may simply be much better now at identifying viruses that may have been with us for a long time. But he suspects there’s something else going on. For example, the Lone Star tick, which is one of Missouri’s most common ticks, wasn’t even considered dangerous until the 1990s. “It’s really what we think of as an emerging tick – a tick that’s causing more problems, more health concerns with time – particularly as we discover new pathogens that seem to be transmitted by it,” Allen says. Part of the problem appears to be related to climate change. Higher temperatures have increased the range of mammals that carry ticks, especially white-tailed deer, and those populations have been exploding. Fewer natural predators, plus an increase in foraging areas like crop fields and residential areas, have also allowed deer populations in Missouri to surge. “They’re both important as hosts for the ticks themselves, and then some are also important carriers of the pathogens – what we refer to as ‘reservoirs,’ meaning they are wildlife that, once they get infected with that pathogen, if a tick feeds on them, the tick will actual pick up the pathogen and then be able to transmit it,” Allen says. Allen says the increase in host populations may be leading to the spread to humans of viruses that previously only affected animals. 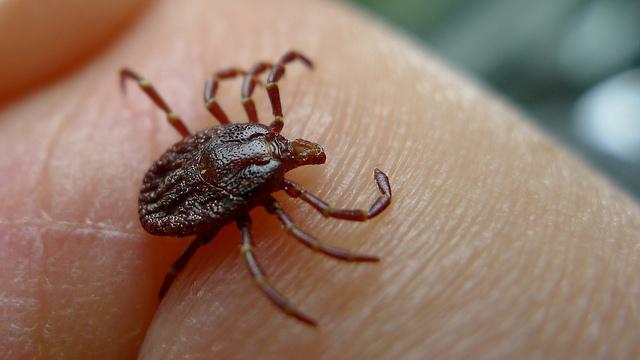 And it’s possible new tick viruses may appear. “I think that’s what we’ll really be excited to see in the coming decades: How big is the scope of the problem? Hopefully, not much bigger than it is now, but I think we’ll find out,” Allen says. Even if there has been an increase in new tick viruses, however, it doesn’t mean people need to spend the rest of their summers hiding indoors. Meramec Park in central Missouri was surveyed this summer for tick-borne viruses, although health officials say they don’t consider it to be a particularly high-risk area. On a scorching afternoon at Meramec Park, where Tammy Wilson worked, there are still plenty of campers tramping through the woods, and even canoeists hanging out in swimsuits. Although the Bourbon virus was linked to the park, health officials say they don’t consider it an unusually high-risk area. That’s because, instead of being an extremely rare and dangerous virus that has affected three people so far, the virus is probably more widespread but less dangerous than you’d think from most news headlines. Still, park-goers might want to rethink spending the day in the Missouri woods wearing only a swimsuit. Health officials advise people heading outdoors to wear long sleeves, use bug spray with DEET, avoid brushy areas and check for ticks. While the risk of infection may be small, experts say it’s not worth taking the chance.